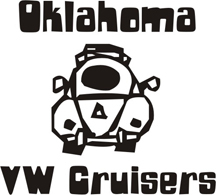 Oklahoma Vw Cruisers • Oktoberfest Car Show One not to miss! Looks like it will be on 6 sept. In choctaw off harper rd. Always a great time! 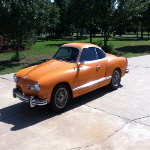 Re: Oktoberfest Car Show One not to miss! Limo is running again. Might even have air conditioning. We are running it, so if anyone can help. I'm available to QC test all the beers. Or to help with whatever day of the show. Does anybody have details on the car show? ie when,where, how much $ to enter . I think it is from 1-5 at the Oktoberfest event. Google it to find directions. It's in Choctaw. Usually $10-15 for entry. Gets you a free shirt and admission to the fest. We need all the VWs we can get out there. I should be able to help out unless it is a total downpour all day. For those of us that want to help with the show what time do you want us there? 12-530 or maybe 5 if old germ wants the awards then. my goal is to make it better than previous years. TRY to park cars together by make. Simple judging etc..
We'll see you by 11:30 at least. Can help in any way you need. weather geeks say it starts moving out in the afternoon. Good to see everyone. Awesome turnout! Thanks to everyone who came to oktoberfest. Even with the low non- vw turnout still giving $150 to juvenile diabetes.